Opalescence tooth whitening products have been leading the way in the tooth whitening industry for 25 years, making the brand the most trusted name worldwide. To earn that all important consumer trust from dentists and patients, a company must consistently deliver proven good results. Fortunately, during their 25 years in dentistry, a wealth of clinical product research is definitely something the Opalescence team are proud to share. 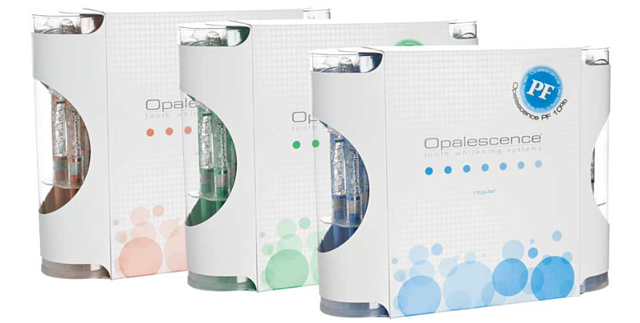 The combination of knowing what dentists and patients need, and a passion to provide the best choice of high quality systems has helped to forge the extensive Opalescence range available today. Their carefully developed range of products cater for the many ordinary and extraordinary tooth whitening challenges presented to clinicians on a daily basis. Opalescence whitening led the way in patenting a revolutionary whitening gel that was sticky and viscous. Up until the introduction of Opalescence, mosts gels had been thinner in consistency and gave unpredictable results.A thicker gel formula made Opalescence an instant hit as it stayed in place in the tray. The brand were also were the first to develop a single use and adaptable pre filled disposable whitening tray (UltraFit) which enabled patients to whiten on the go or on a busy schedule. This system, appropriately called Opalescence Go, was also the first ready-to-go whitening programme that offered professional results and is popular amongst those who would like to to whiten but are short on time. The patented formula in Opalescence gel contains PF (potassium nitrate and fluoride) to relieve sensitivity, and has a sticky and viscous consistency to keep the gel in place. Potassium nitrate moves through the enamel and dentin to the pulp chamber of the tooth to calm the nerves and normally lasts for a 24 hour period. Fluoride also works to decrease sensitivity, more slowly, by increasing the hardness of the enamel (1). The sticky and viscous consistency offers many benefits such as keeping the tray in place and preventing gel migration onto the gingiva, which can cause irritation. Used in conjunction with custom trays featuring reservoirs for the gel, the gel isn’t squeezed upwards on insertion of the tray. (1) Haywood VB. Considerations for managing bleaching sensitivity. Dentin Hypersensitivity: Consensus-Based Recommendations for the Diagnosis and Management of Dentin Hypersensitivity (a Supplement to Inside Dentistry). 2008;4(9):25-31. The range of whitening products from Opalescence gives you excellent results as well as a treatment that feels tailor made for your lifestyle. From fast acting 6% Hydrogen Peroxide in the prefilled Opalescence Go trays, to the 6% Hydrogen Peroxide in-surgery kit - Opalescence Office, to the gold standard 10% Carbamide Peroxide syringe kits, there is something for everyone. Chairside whitening system Opalescence Office gives the clinician full control and is a great way to ensure an effective start to the patient's whitening treatment. Alternatively, it can be offered as a full course of treatment through multiple in-office appointments. Opalescence PF whitening gel is formulated with a minimum of 20% water to hydrate the teeth during the whitening treatment. The high water content ensures the whitening results are longer lasting. The probability of shade rebound in the future is reduced as the teeth stay hydrated from start to finish. The natural pH level of the mouth is between 7 and 8. When patients whiten using products containing carbamide peroxide such as Opalescence PF, Urea is released. Urea naturally occurs in saliva and helps to maintain a natural pH level of between 7 and 8. 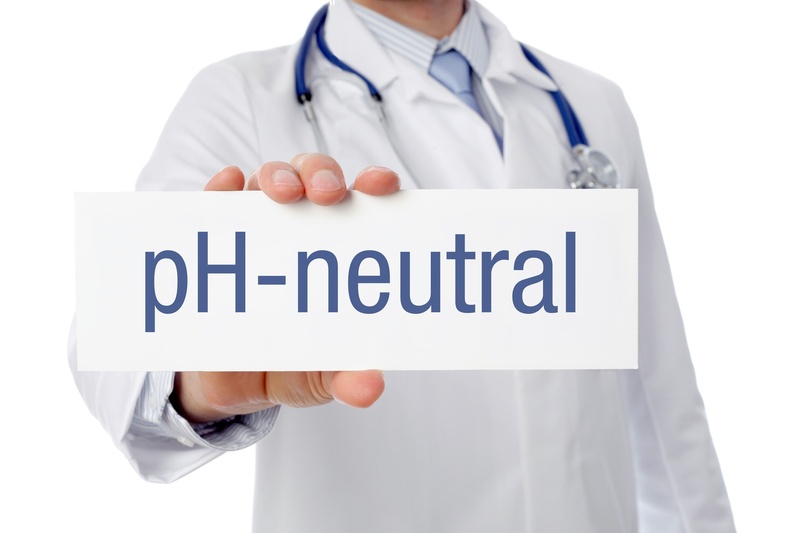 When the mouth has a lower pH of between 5.5 and 6.5, this creates an environment for bacteria to develop. Tooth whitening gel can be in the mouth for several hours at a time, make sure you use a product with a pH that closely matches the natural pH of your mouth. Which flavours you ask? With a choice of Mint, Melon and Regular, you can whiten comfortably with a pleasant taste – you just need to decide which one to try first. Opalescence is also gluten free and Kosher certified. The leaders in tooth whitening have made sure they are prepared for the many different types of stain or discoloration. From tetracycline stains to whitening while undergoing orthodontic treatment, Opalescence caters for each individual patient’s requirements. Patients who suffer with sensitivity during whitening have also been considered.UltraEz is a sustained release 3% potassium nitrate desensitising gel with fluoride (0.25% neutral NaF). It combats sensitivity caused by toothbrush abrasion, heat and cold, chemical changes, tooth bleaching and root exposure. Many Dentists and patients all over the world know Opalescence whitening consistently delivers healthy white smiles for everybody. Opalescence whitening products have been honoured with many awards over the years by industry experts such as Reality, Dentistry Today, and Dentaltown. Ultradent provide laboratories and dental surgeries with the highest quality tray materials to ensure the best results. 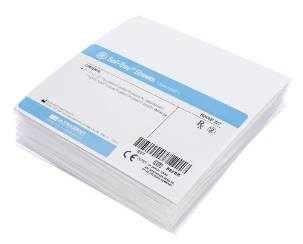 Three thicknesses are available: 0.9mm - the most flexible and lightweight option; 1.5mm for bleaching patients who are bruxers; and the 2mm for severe bruxers or as a TMJ appliance. In this global market, it is a rare thing to find a company that conducts all its research and development, manufacturing and quality control in the same place. 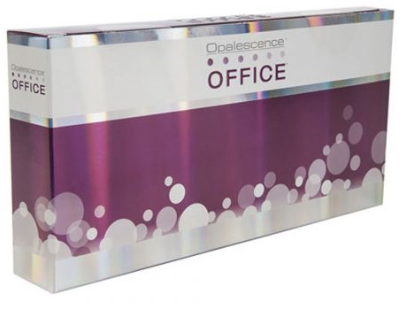 Opalescence does it all in one place – Utah, USA, and it doesn’t seem to have harmed their success one bit. 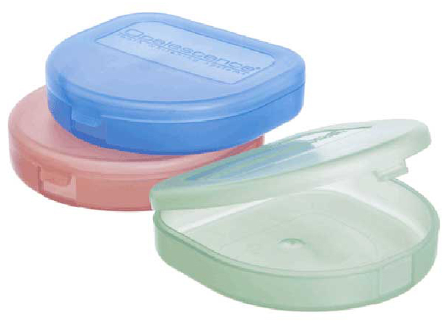 A convenient pocket tray is provided with each Opalescence syringe kit. The determination to consistently offer patient satisfaction in-hand with product innovation has kept Opalescence the most sought after tooth whitening brand name by smart clinicians. It is clear, Opalescence is a global whitening brand that shows to sign of slowing, and now you know the foundations that helped to shape it. Alternatively, call Optident sales on 01943 605050, email sales@optident.co.uk or visit www.optident.co.uk.